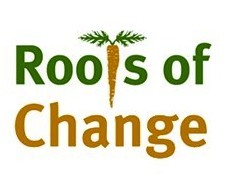 Roots of Change (ROC) is a California-based nonprofit developing a collaborative network of stakeholders – the public sector, nonprofits, funding sources, entrepreneurs, farmers, ranchers and concerned individuals – dedicated to seeing California with a sustainable, healthy, safe and profitable food system by the year 2030. Tall order. But in the years since the organization’s launch in 2000, ROC has seen concrete changes come to the California food system – how we grow, transport and consume the food that nourishes a state and a nation. ROC’s blog is a comprehensive, user-friendly source that reports regularly on the ripples of growth that are occurring in the state’s food system, like organization of Urban Rural Roundtables, which aligns constituents with city governments to develop recommendations for policies that support a “foodshed” concept for urban areas. Mayor Antonio Villaraigosa of Los Angeles joined San Francisco Mayor Gavin Newsom in working with the roundtables for a plan to develop policy that will engender greater direct links between California’s rural communities and large urban markets. The Urban Rural Roundtables are an example of the steps ROC is taking to create a business plan that proves local and sustainable can be profitable and market-friendly. For ROC, that means developing the capacity to show stakeholders in every step of the food chain the viability of a market for locally sourced, sustainably produced food, from produce to beef cattle. Dimock cited some of the big changes in California vintners – a group notoriously opposed to production modification – in developing organic wines. ROC is working to change the food conversation commercially, legislatively and technology-wise. The organization “seeds” working groups to develop local policy. The California Food Policy Council is comprised of 26 regionally based food policy groups. Even large corporate entities are coming into the picture. Even so, there have been stumbling blocks. A couple of years ago, ROC was behind a documentary that featured the evolving nature of food production. While urban audiences loved it, farmers were deeply insulted, perceiving the film to bash growers, who are struggling as it is. Part of the issue is the enormity of the subject. Daniela Aceves is the Communication Manager for ROC. She said that the underlying message is multi-faceted and awkward to express in sound bytes when so many social elements are part of the picture: economic viability for farmers, transportation, environmental concerns, labor issues, regulatory oversight and, ultimately, consumer participation in the end product. ROC has also seen legislative setbacks. The recent passage of the Congressional spending bill that included the rider giving companies like Monsanto exemption from USDA regulatory oversight – and President Obama’s signing of the bill, despite his early claims that he would work to prevent GMO production -was a blow. Dimock also said that last year’s Proposition 37 (which required mandatory labeling of all food products containing GMO-created ingredients) was defeated due to split messaging and poor grassroots organization, versus colossal campaign spending by Monsanto and other biotech food entities. “When you come down to it, the message is and should have been people’s right to know,” Dimock said. So is Roots of Change on track to reach their 2030 goal? Dimock said the strategies in place should spur a huge change in the California food industry during the next three to 10 years.